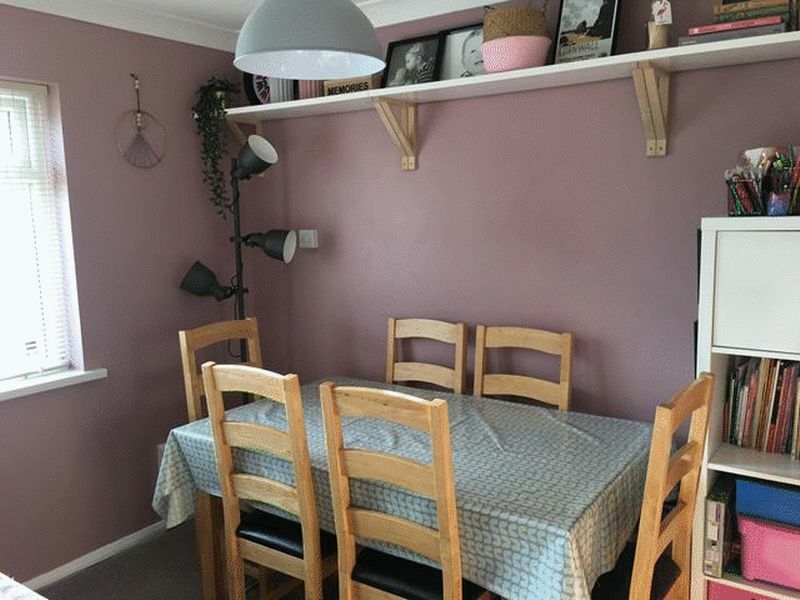 This is a terraced, three bedroom, older style house on the fringe of St Austell town centre, offering light, practical and well presented accommodation throughout with enclosed south facing rear garden with two stores. 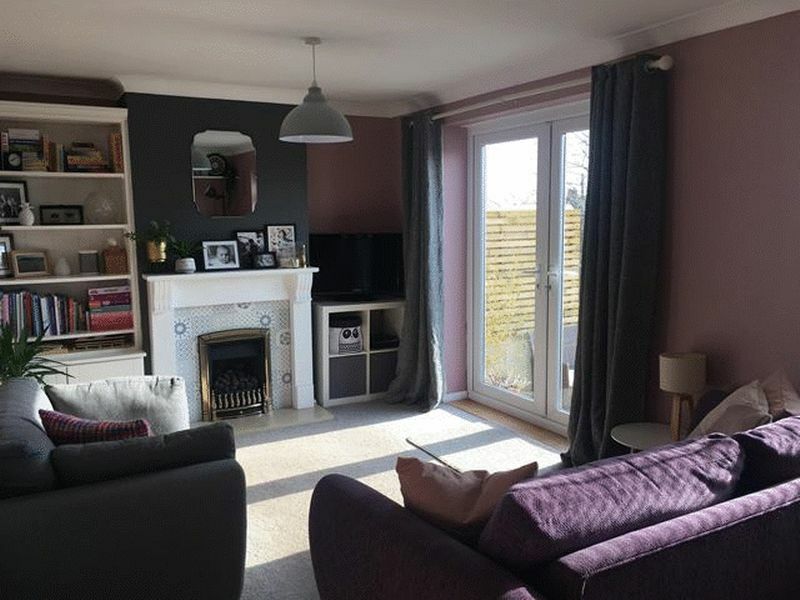 In brief, the accommodation comprises of entrance hall, modern kitchen/breakfast room, lounge/dining room with French doors opening to the rear garden. 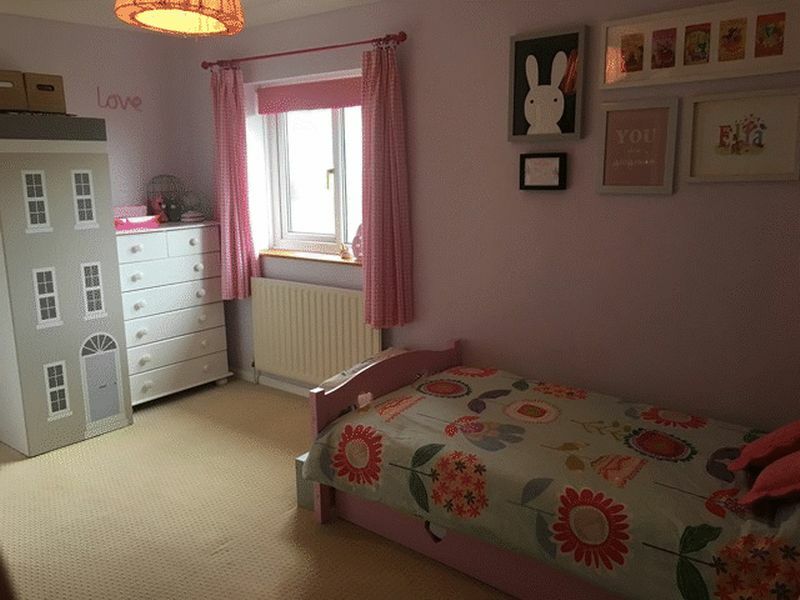 To the first floor are three good sized bedrooms and family bathroom. 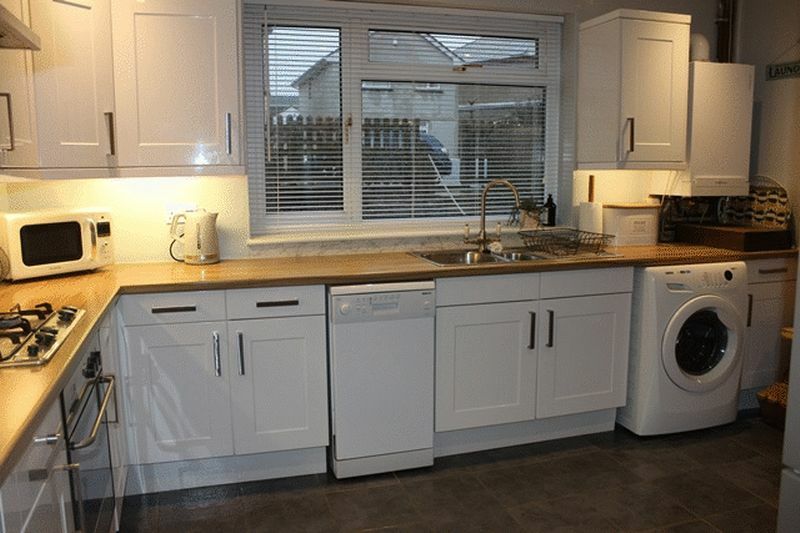 The property also has double glazing and gas fired central heating. Outside the front garden has been terraced with sleepers and astro turf for ease of maintenance with paved pathway leading to front entrance. There is door shared with next door leading to an under passageway which gains access to the garden to the rear, this being south facing with timber decked area, good expanse of lawn and two stores. 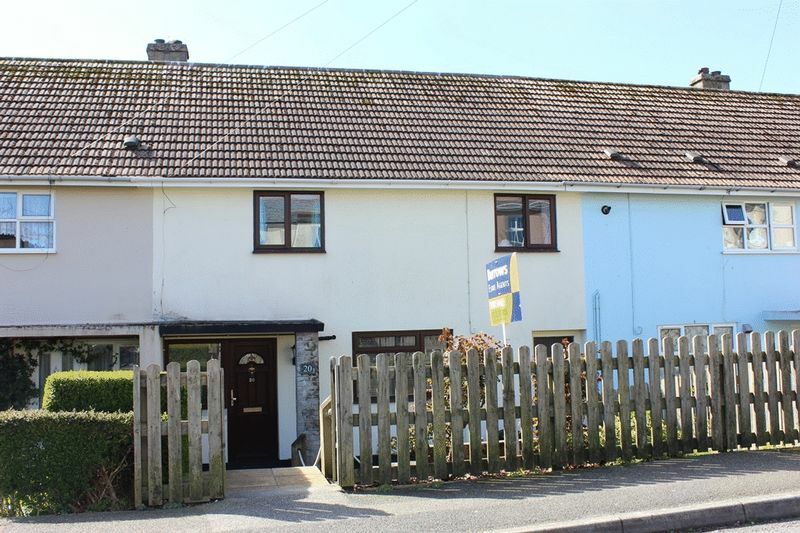 The property is positioned on Trelawney Road which has a good range of amenities close by, along with college and schooling, and is within walking distance of St Austell's main town centre and railway station. 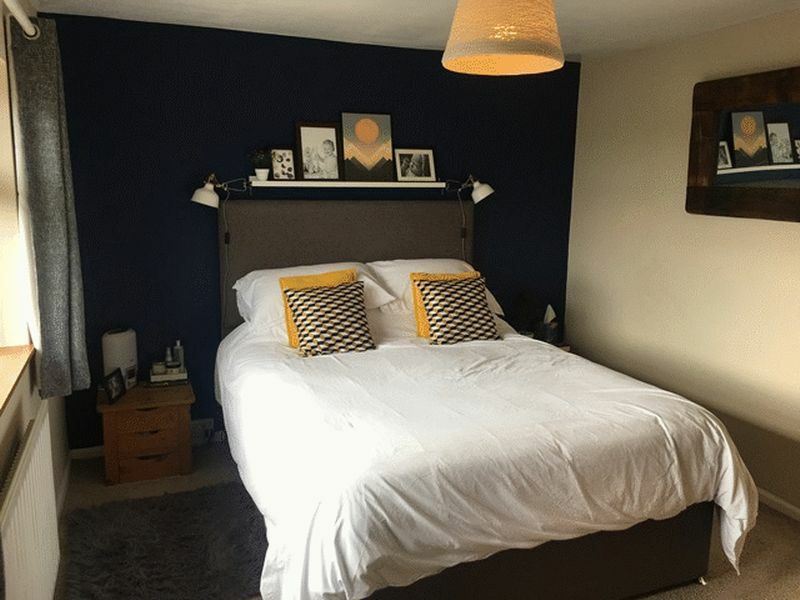 Combining this property's presentation, size and accommodation, it is anticipated to appeal to a good number of people and appointments to appraise internally are most strongly advised. Good immediate reception area with staircase to first floor. 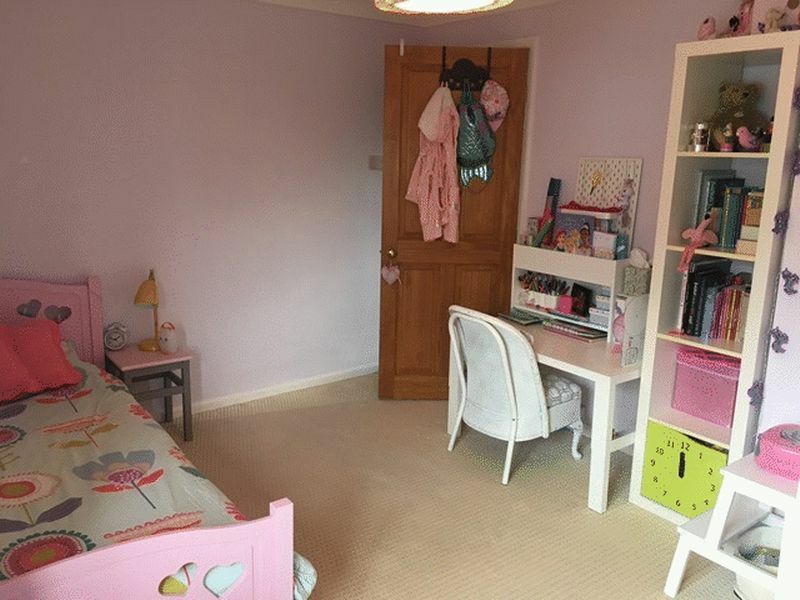 Understairs storage cupboard and cloaks area. Window to front. Timber effect laminate flooring. Radiator. Telephone point. Door to kitchen/breakfast room, door to lounge/dining room. maximum. Fitted with a modern range of white fronted base and wall units providing cupboard and drawer storage, working surface over housing inset sink unit with part tiled walling adjacent, breakfast bar. Space and plumbing for washing machine, further appliance space. Wall mounted gas fired boiler. LED inset ceiling spotlights. Tiled flooring. Window to front. Opening to lounge/dining room. maximum including chimney breast housing gas fire with marble hearth and timber mantel with wall paper tile effect backing. TV aerial point. French doors opening to rear garden with further window to rear. Radiator. Doors off to all three bedrooms and bathroom. Access hatch to roof space with loft ladder. 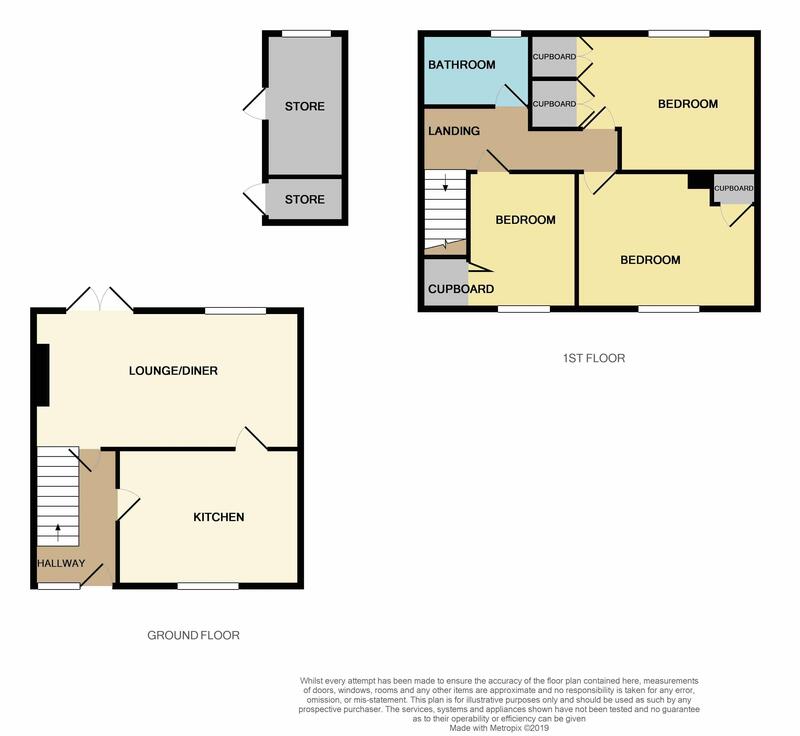 narrowing to 10' 1'' (3.07m) plus double doors to two recessed wardrobes. Window to rear enjoying distance sea glimpse. Radiator. 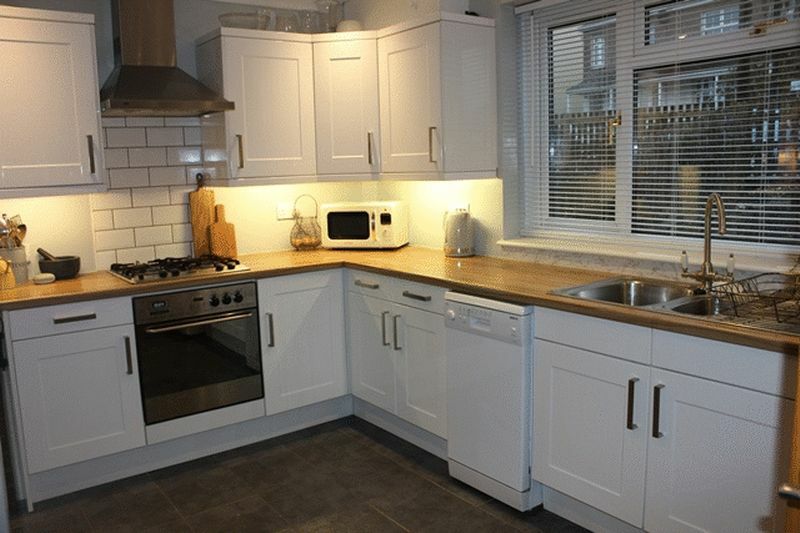 maximum including built in cupboard and chimney breast. Radiator. Window to front. plus folding door to recessed wardrobe over staircase bulkhead. Radiator. Window to front. 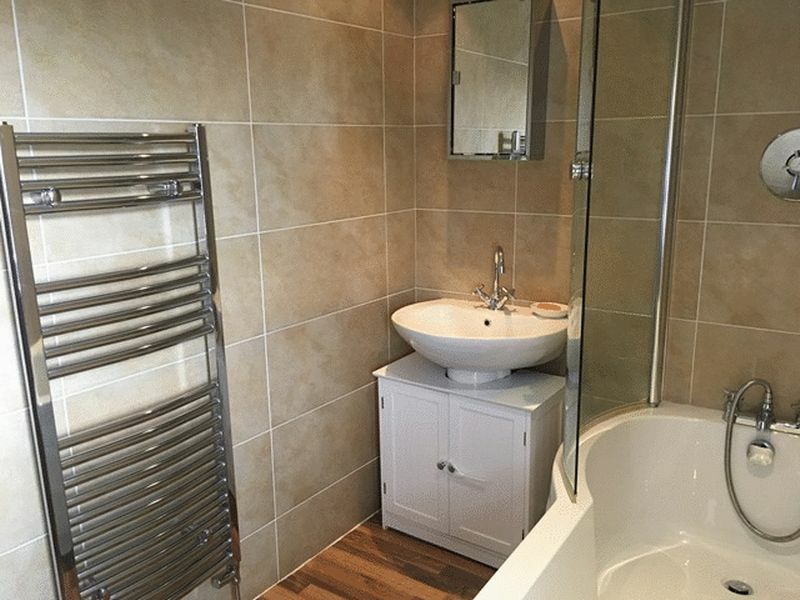 White suite comprising P-shaped bath, pedestal wash hand basin, close coupled w.c. Fully tiled walls. Pattern glazed window to rear. Towel radiator. To the front there is a paved pathway and steps leading down to front entrance. The front garden has been terraced with timber sleepers and astro turf for ease of maintenance. Running along the front of the property is a pathway leading to timber gated access shared with next door opening to covered area between the two houses leading to the rear garden. 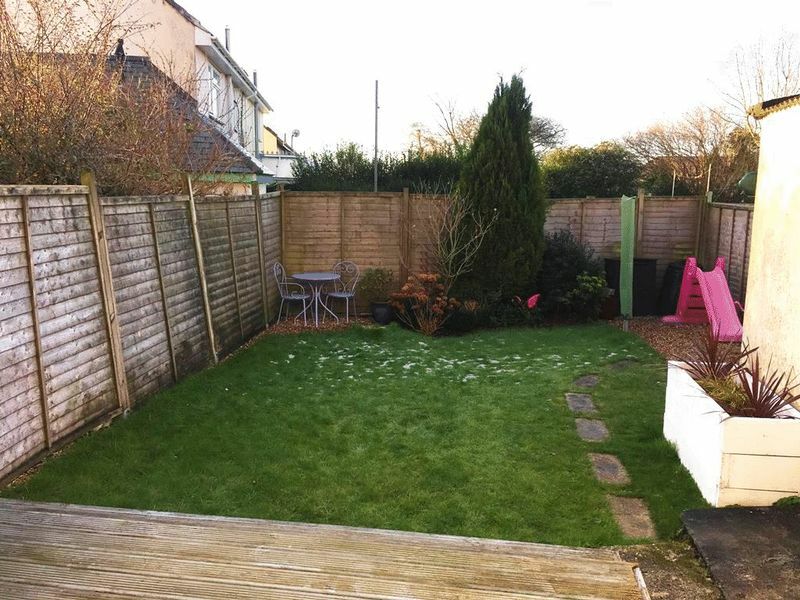 The rear garden has an immediate timber decked area off the lounge, good expanse of lawn with two block built stores, one measuring 10' 9'' x 6' 1'' (3.27m x 1.85m) with pedestrian door and window. 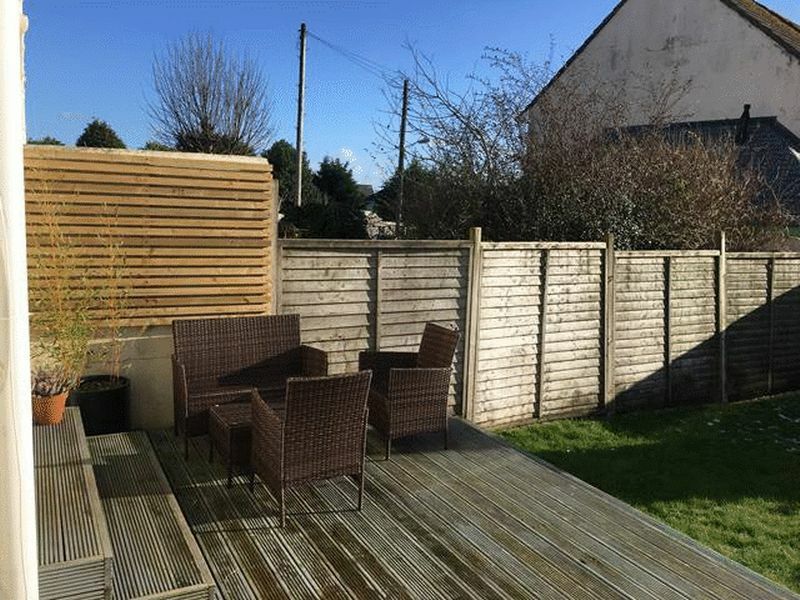 The whole is well enclosed with timber fencing to boundaries and enjoys a sunny, southerly aspect.